Festus. 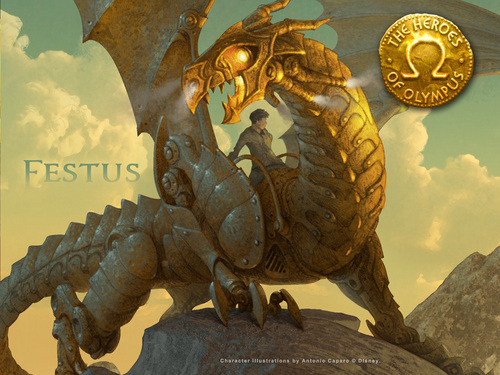 Official picture of the dragon, Festus, as released Von Disney Hyperion. 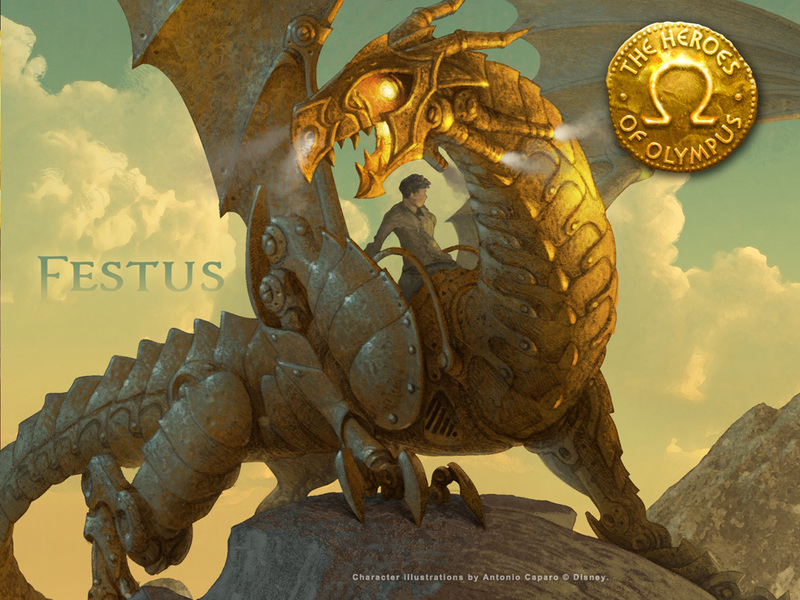 HD Wallpaper and background images in the Helden des Olymp club tagged: the heroes of olympus the lost hero dragon festus bronze dragon automaton. Yeah, Festus is it's name. If you'll head over to www.heroesofolympus.com you'll find tons of new stuff. Aw! I made someone's day! Yay! There gonna save the world with happy the dragon! FESTUS!!!!!!!!!! trivia101: You just said happy happy day! Random and cookoo sounding BUT TRUE!! HAPPY FESTUS ( happy) DAY!!!!! Compared to the Festus on the cover of TLH this one looks like "HOLY CRAP THAT THING IS FRIGGIN AWESOME BUT IT IS GONNA KILL ME!!!"